Deep Impact: Out of Home…Out of the Shadows! Out of home media for years has been meted out step motherly treatment by planners and brands alike. Often receiving spill-over/ left-over campaign budgets and more than often facing the axe when there is a crunch. The fact that there are no universally accepted measures and questionable audits haven’t helped cause either. Planning and measurement challenges apart, till not so long ago OOH was blamed to be a passive, immobile medium. Unlike communication via traditional media that travels to or “reach” the audience, the audience has to reach the medium and therefore the communication itself. Not a very flattering analogy, but an analogy nonetheless OOH media is the Cockroach of the media biome, it was there long before anybody came and shall remain long after everyone is gone. Staying with the concept, OOH in the past few years has evolved like no other. Having wholeheartedly embraced technology OOH today has managed to overcome a few of its handicaps and even managed to convert some of its weaknesses into strengths. From wall painting to billboards to segment/matrix displays to screens to pods to holograms is a whole lot of evolution to boast of in one generation! OOH today is visual, audible, tangible, flexible, customizable, you name it. While measures are still an issue a significant dimension that OOH has added to itself has been IMPACT. More and more brands led by their PR departments are venturing out and using OOH as an impact tool. The talk value of such exercises not only multiplies the “reach” by viralling on social media but also features on traditional media because of its news worthiness contributing significantly to the earned media kitty. Delivering the much required RoI the bean-counters and the “measurability” for whosoever needs to claim or declare success, in other words everyone is happy. Whether its entire airplanes painted (or stickered) with your brand or virtual cheetahs atop cars or building projections brands are seeking “Innovation” and “Impact” with every single campaign. OOH today is not a unidirectional communication anymore. It has become an experience delivery mechanism. The tangibility of the medium and the natural ability to be “larger than life” obviously come in handy. Brands today do not just want a good communication, no not even a great communication they want awesome. OOH has emerged as the answer to how do I physically engage an audience, make them gasp and say wow! Not only that make them record, capture and share! OOH including transit, street furniture, ambient delivers the edge brands need. No longer are they shackled by footfalls and traffic density. In a pioneering move, the Rapid Metro in Gurgaon has offered entire stations as an asset with the brand integrated into the station name! 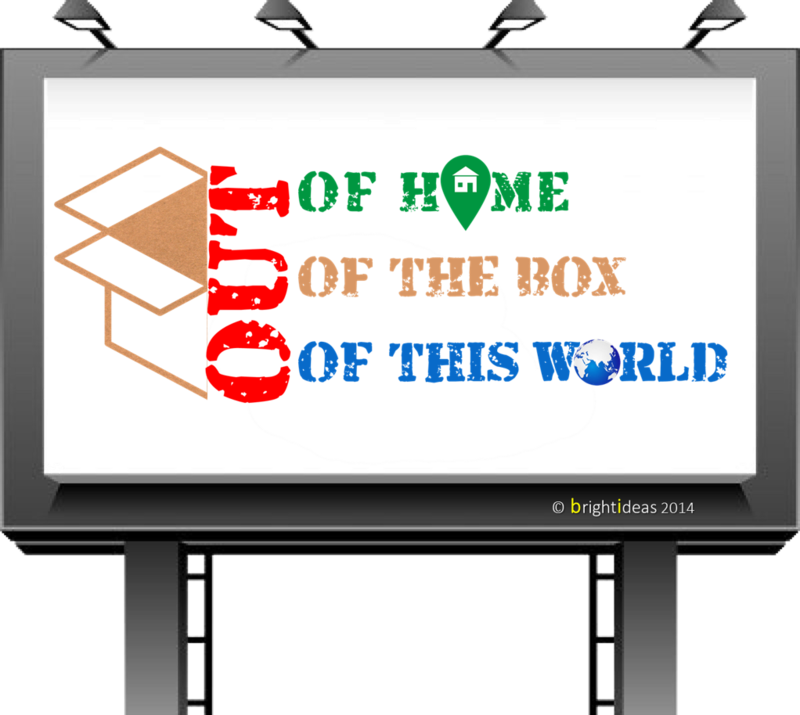 Out of home, out of box and out of the world is new mantra in an innovation hungry world. About time the brand guys take note and ownership of this medium and pull it out of the shadows and the burden of expectations based on traditional media.